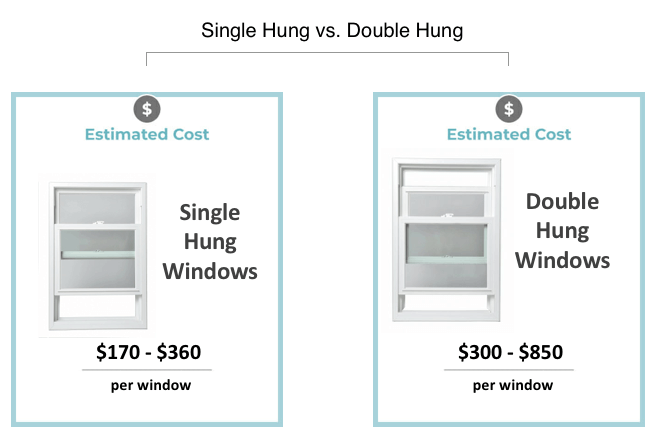 Are single hung windows cheaper than double hung? Single hung windows are a popular sash type window that opens vertically. These affordable windows are simple to use and are commonly found in most homes. When most people think of standard windows in a home, single hung windows come to mind. The difference between single hung vs double hung windows is that when using double hung windows both of the sashes move. In single hung windows only one of the sashes moves. The average cost for a replacement single hung window installation is cheaper at $170 to $360 per window. 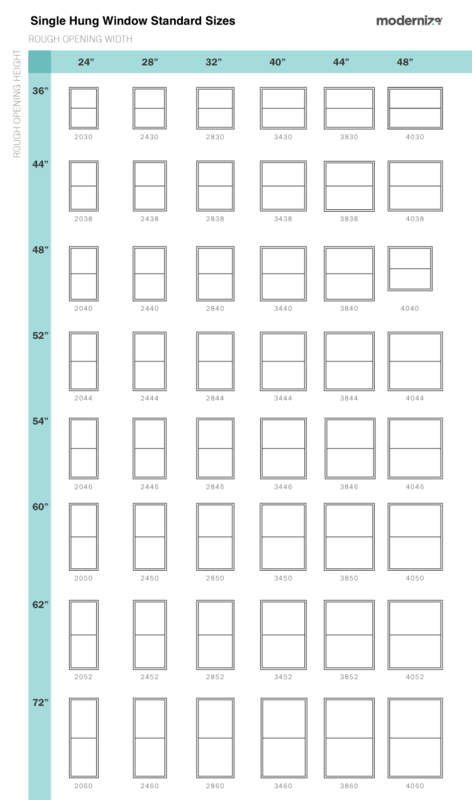 A double hung window usually costs $380 to $850. The prices of your total window installation will depend on your choice of window brand, window frame types, and local labor costs that are common for your area. While single hung windows are relatively simple to install, if the frame of the window isn’t squared properly, it won’t function as it should. You might still be able to open or close the window, but it will be significantly more difficult. If you’ve ever used a window that was hard to open or close, it’s likely that the frame of the window wasn’t square. Windows go out of square over time from a sagging foundation and other structural issues, but they can be put in that way as well if the replacement single hung window contractor working on the project fails to square the window frame properly.